Join my stampers 10/ VIRTUAL HOSTESS club !!! For more information about my clubs and classes drop me a line! stamper 6 and stampers 10 spaces available! email me for more information! Earn free products and hostess benefits! while learning new project ideas and techniques on line! Just as soon as i discover where my boys have hidden my other projects that we made i will photograph them and post them too how ever they took a shine to them and they have mysteriously disappeared. Content on this blog is my sole responsibility as an Independent Stampin' Up! 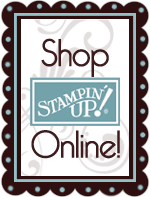 demonstrator and the use of and content of the classess, services or products offered on it is not endorsed by Stampin' Up! All artwork © 1990-2013 Stampin’ Up!®. Designs, text and photos © A Bundy. Content shared on this site has been posted for personal use and not for profit, please be responsible and give credit when you case!